After the mass extinction of the dinosaurs 65 million years ago, mammals became the dominant terrestrial life form on our planet. Roaming the earth were spectacular beasts such as saber-toothed cats, giant mastodonts, immense ground sloths, and gigantic giraffe-like rhinoceroses. Here is the ultimate illustrated field guide to the lost world of these weird and wonderful prehistoric creatures. A woolly mammoth probably won't come thundering through your vegetable garden any time soon. But if one did, this would be the book to keep on your windowsill next to the binoculars. It covers all the main groups of fossil mammals, discussing taxonomy and evolutionary history, and providing concise accounts of the better-known genera and species as well as an up-to-date family tree for each group. No other book presents such a wealth of new information about these animals--what they looked like, how they behaved, and how they were interrelated. 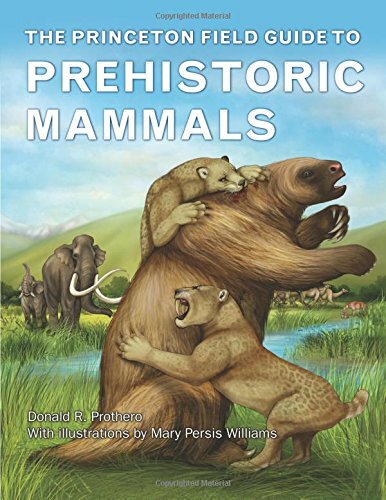 In addition, this unique guide is stunningly illustrated throughout with full-color reconstructions of these beasts--many never before depicted--along with photographs of amazing fossils from around the world.